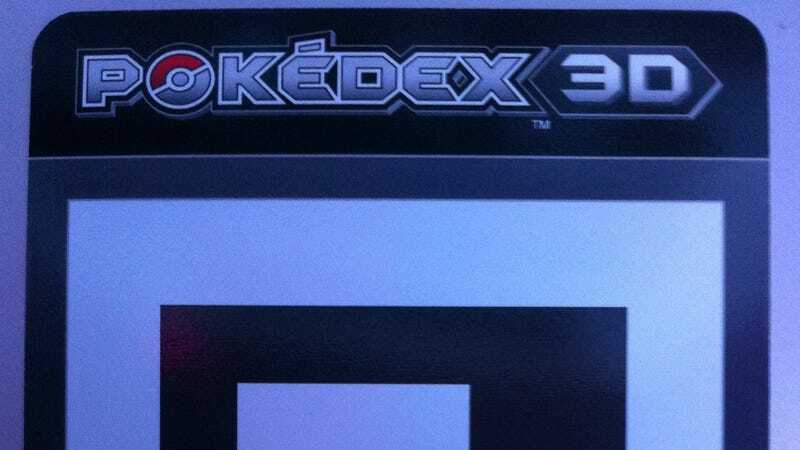 This week Nintendo released Pokedex 3D, a 3D Pokemon viewing application that you can download for free on the 3DS' eShop. They also were handing out Pokemon Augmented Reality Markers at their booth. Each of the four we grabbed are supposed to show different Pokemon on your 3DS when you use the app to scan the image. We've included all four that we found below for your testing and viewing. The free app also lets you check out more than 150 Pokemon from Pokemon White Version and Pokemon Black Version games.